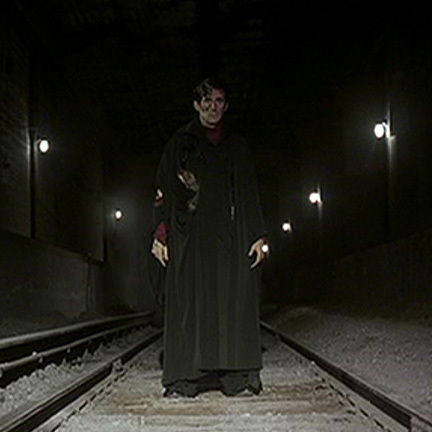 This black cape and red turtleneck shirt was worn by the character The Man/Satan portrayed by actor Gabriel Byrne in the 1999 action blockbuster END OF DAYS starring Arnold Schwarzenegger. In the film, The Man (Byrne) has become possessed by the Devil and tries to track down his human concubine Christine York (played by Tunney) but meets with resistance from Jericho Cane (Schwarzeneggar). Mr. Byrne wore the outfit during the extended action sequence where Cane disrupts a Satanic coven meeting just before the Devil can consummate his union with his human vassal and a heated chase ensues. 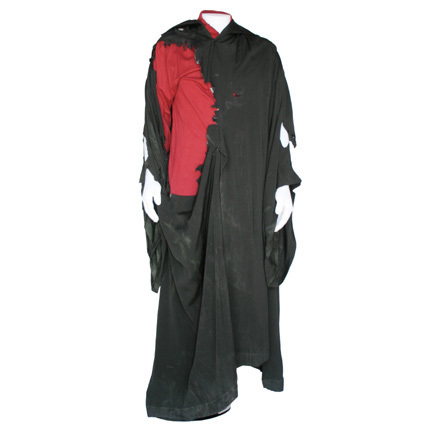 The cape is in hand distressed condition with a large gaping hole in one side, the result of being shot, at blown up, and run over by a subway train during the Devil’s pursuit of Christine. 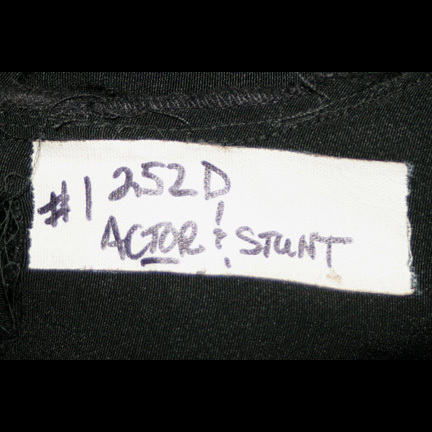 The shirt is in equally distressed condition and was split up the back to accommodate a safety harness for use in one of the sequences. 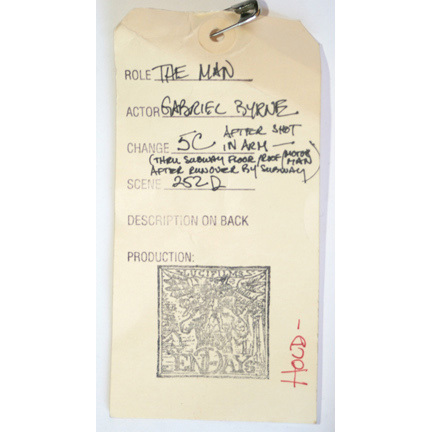 The cape has a sewn in label with Actor/Stunt #1 and scene number 252D clearly written, and comes complete with the original costumer’s tag attached listing character name The Man, actor Gabriel Byrne, and a brief scene continuity description. Accompanied by a letter of authenticity from the costume house. SOLD.